As you may have heard: at the end of March, the EU parliament will have to vote on the Copyright Directive. 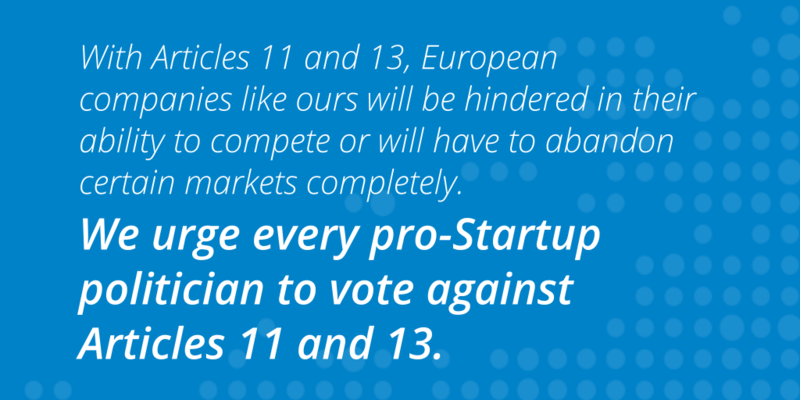 Two articles in this directive – Articles 11 and 13 – may seriously jeopardize the success of all open source businesses and companies in Europe. We believe that it is essential for businesses (rather than just individuals) to be heard in this debate. For this reason, many different European companies from the open source world, including Collabora, have signed an open letter to the European Parliament trying to urge politicians to vote against Articles 11 and 13 of the proposed Copyright Directive. This open letter has been sent today (March 19th, 2019) to the members of the European Parliament. Please, find below a link where you can download and read this open letter. And, do not hesitate to share it with your contacts. Join us at the Nextcloud Enterprise Day in Stuttgart! “Real Time, Secure Collaboration” presentation at Nextcloud Enterprise 2019!